MobileBE is a three years Strategic partnership project co-founded through the Erasmus+ programme of the European Union. MobileBE aims at extending basic skill education to low skilled adults who, due to specific circumstances of life, are not able to attend traditional or existing learning offers. For example, such adults may be single parents, shift workers, nursing relatives, people with health issues, people living in remote or rural areas, prisoners in home detention and many others. In most European countries, financing (non-formal) adult education remains problematic. In contrast to the formal system, the sources of financing are fragmented. On the side of public authorities, there is a distribution across different ministries, regional and local authorities and communes. Employers obviously play an important role as do public employment services. In many countries, the learners themselves contribute through fees. There are a number of different mechanisms and tools, which can be targeted at learners directly or at providers. Der Sammelband „Entschieden! – Zivilcourage jetzt“ dokumentiert eine einjährige berufsbegleitende Fortbildung, die das Landes Niedersachsen im Rahmen des Programms „Kriminalprävention durch Stärkung von Zivilcourage“ förderte. Er umfasst Beiträge der Referentinnen und Referenten und von Teilnehmenden, die ihre Praxisprojekte vorstellen. 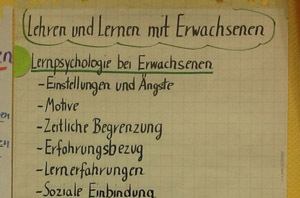 Der Titel pointiert potentielle Handlungsfähigkeiten, die auf der Grundlage theoretischer Modelle für die Bildungspraxis nutzbar gemacht werden. „Entschieden“ weist auf die aktive eigene Entscheidung hin, die Menschen täglich bereits im Vorfeld zivilcouragierter Herausforderungen treffen und die trainierbar ist. Vorbereitet handeln wir schneller und sicherer und nehmen damit potentiellen Täterinnen und Tätern den Handlungs- und Erfolgsraum. Entscheidungskompetenz und Sicherheits-Risiko-Kompetenz sind als zentrale Fähigkeiten identifiziert, die zivilcouragiertes Handeln fördern. 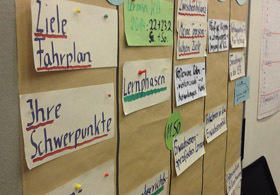 Vorgestellt sind Projekte aus dem Primarbereich bis hin zur Erwachsenenbildung. 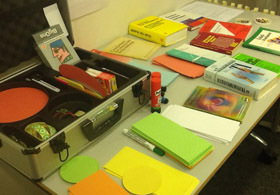 Gearbeitet wurde in Theorie und Praxis mit vielen Übungen, Theaterpädagogik und Selbstbehauptung und Selbstverteidigung. Whilst the cost of many learning offers remain an obstacle for many Europeans (especially younger or older people or persons with a low educational attainments as highlighted by the Adult Education Survey), funding for adult education has been under increased pressure due to the financial crisis, and even a country like Finland is cutting funds for education. This is in contrast with the clear need to increase participation in lifelong learning. The PIAAC results have shown that at least 20% of Europeans lack basic skills, and the benchmark for participation has decreased in the last few years rather than made progress. There is an urgent need - and recent survey among EAEA members confirms the importance of this - to find answers for questions such as: why do we need to invest in adult education? What are the indicators for funding? Where is investment needed? Which instruments work? Which funding mechanisms can engage (more) new learners? The European Commission targeted (some of) these questions in its thematic working group (TWG) on financing adult education (it ended in 2014). It produced a study, country fiches and a final report. EAEA and its members think that the results are helpful but only paint a very partial picture – the TWG was driven by ministries (although EAEA and other stakeholders did participate). The consortium thinks that there is a need to revisit the results and offer a providers’ and civil society’s analysis of the question, update what has been achieved and make proposals for policy and financing practice that focuses on the providers and learners. The objective of the project is to provide a set of analyses and policy recommendations targeted at policy-makers of all levels (European, national, regional, local, communal) and at providers to be used as advocacy tools. The partnership would like to monitor and analyse adult education policies and funding instruments and make proposals on how to improve them. This knowledge also benefits providers and adult education organisations as they will be able to use the analyses and recommendations in their own work. The project needs to be transnational as the partnership wants to compare different strategies, good and bad practices and make recommendations that are valid for all European countries. The partnership believes that this peer learning aspect across Europe will contribute to finding the best solutions for adult education in Europe. This is a very innovative project that has never been done in the current form. It is a reaction and follow-up to the European Commission’s TWG on financing. It will be the first provider / civil society project on financing. 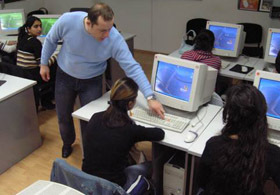 The VET sector already developed a project specifically focused on financing (Project on financing VET aimed to monitor Member States’ strategies and mechanisms for financing vocational education and training (VET) and to investigate their effectiveness and efficiency), so FinALE will take these results into consideration (especially the financing adult learning database) but add to is by collecting experiences, expertise and feedback from the non-formal adult education providers. 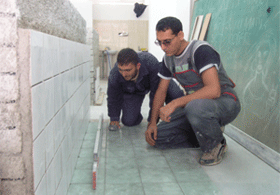 By doing so, the project will also contribute to create closer links between the different educational sectors. Basic information about the Finale project.